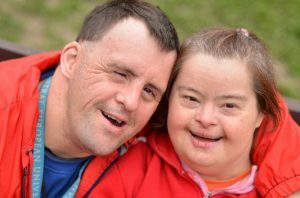 PFF operates a wide range of services to meet the needs of people with intellectual disabilities live and thrive in the community. They include sharing a home, community-based independent living support, and services to protect vulnerable people and manage their assets. The people we serve, their families and the community at large are key stakeholders in the success of our work. The State and County Governments are reliant on local providers to provide the services they no longer directly provide. PFF provides “right-sized” care to maximize resources. With too much or too little support, taxpayer resources can be wasted. PFF works to protect assets of the people we serve since vulnerable people are often targets for financial fraud or manipulation. We work to ensure social and financial stability to avoid more costly interventions. The bottom line: PFF is smart investment. PFF (Presbyterian Family Foundation, Inc.) is a nonprofit organization governed by a Board of Directors. PFF is a 501(c)(3) organization. Incorporated on June 12, 1964, in Willmar, Minnesota, PFF provides residential services for individuals with intellectual disabilities in Willmar, Minnesota. PFF also provides guardianship and conservatorship services for people throughout Minnesota. The Guardianship/Conservatorship Program was established in 1996. Residential Services are provided in people’s own homes or apartments, or in licensed corporate adult foster care homes. No more than four people reside in each home. Trained staff may be on duty 24 hours each day in group settings, or contracted hourly for people living on their own. Payment for PFF services is, in most cases, arranged with the person’s case manager. Funding can come from a variety of sources, including private pay.